Standard - $24.99 Only 3 left! When you're ready to hit the fanciest clubs in town, you need to keep a few things in mind when it comes to your outfit. There's of course the choice of colors. Many people will say going straight black is your best bet, but we beg to differ. Everybody does that! Add a nice dash of color in there. A little dab of green can go a long way to get someone's attention. Then there's the comfort involved in such an outfit. Of course you have to look fancy, but with all the recreational activities you'll be doing in it like dancing, you need to hit the floor with a little mobility. Then there's always the patterned design on that beautiful vest of yours. Many companies have worked with flowers in the past but we decided to go with a different plant that's much more than just something pretty to look at. It can represent who you are. You're fun, useful, and just a little on the edge of society. 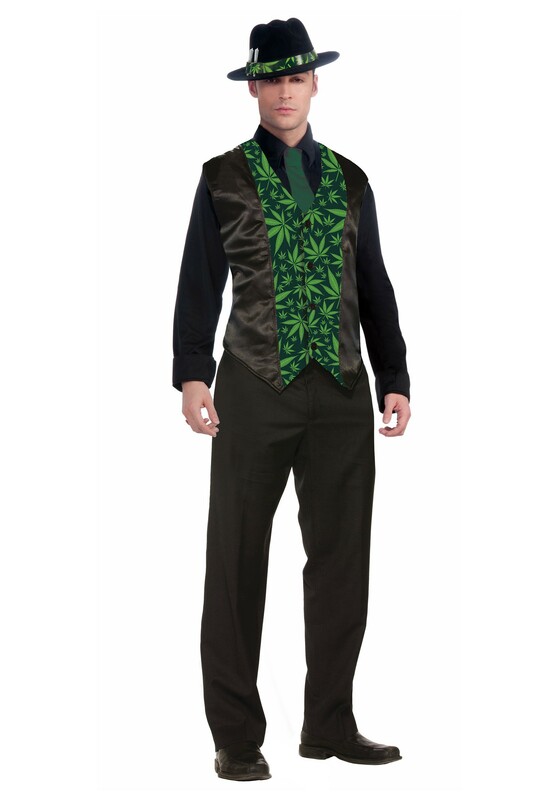 Try it on with a nice, green tie, and see just how many times you get passed around in the conversation.